Real talent is hard to come by, but Brie Larson has it in spades. If you weren’t looking you might think that her career came out of nowhere; somehow she's practically everywhere these days. Over the course of just a few years she has gone from a moderately familiar silver screen face to pure Hollywood royalty. Beyond that, she's currently poised to potentially win her first Oscar for her amazing performance in Room. If you’ve seen the movie, you already know that – even up against her strong competition – Larson has a fighting chance to take home the gold this year. 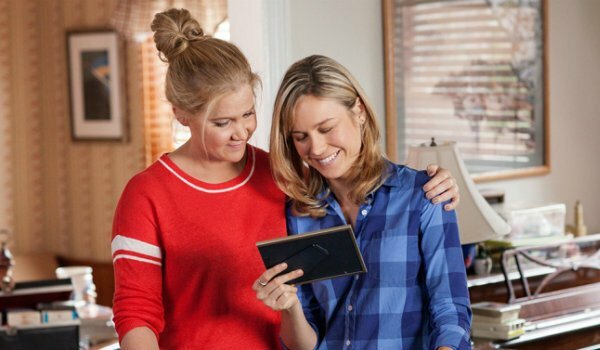 The most recent of the roles on this list, and easily one of the most memorable, Brie Larson starred opposite Amy Schumer in this summer’s hit comedy, Trainwreck, as the standup comedians sister. Larson’s character represented a distinct foil to Schumer’s, as she chose a quiet, boring family life away from the potentially negative influence of her father. While she was a wholly different type of person than her sister, there existed an immense sense of history between Larson and Schumer that helped anchor the film. 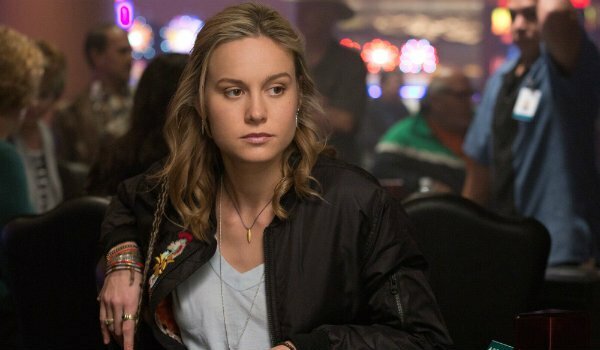 It’s the sort of role that required a delicate balance between comedic timing and overwhelming pathos, and we have to say that we think Brie Larson performed those duties admirably. Aside from that, all we have to say is that her motherhood duties in Trainwreck were a hell of a lot easier than what she went through in Room. Although Brie Larson has a long Hollywood resume chronicling her journey to this year’s Oscar nomination, the role that arguably put her on the map came only a few years ago: Molly in 21 Jump Street. Most actors who try to portray "hip" high school students often come across as phony or exaggerated, but Larson managed to imbue Molly with just the right balance of charisma and believability. Somehow in between all of the zany antics and racy humor, she held her ground against the army of male comedy titans in the film while maintaining a girl-next-door persona that any high school aged guy would have totally had a crush on. A stellar performer knows how to command a scene without demanding the spotlight or a lengthy monologue. That’s exactly the sort of trait that Brie Larson exemplified in her role as cell phone-obsessed Monica in 2013’s Don Jon. In many ways her performance is something akin to Kevin Smith’s iconic portrayal of Silent Bob in the View Askew films. She barely has any lines in the entire film, but her facial expressions and overall demeanor inform the entirety of her character. Her silence builds to a boiling point, and then she when she finally speaks towards the end of the film it acts as a catharsis for the entire experience – helping the titular character realize how he should proceed with his life. The 2014 Mark Wahlberg vehicle The Gambler didn't necessarily hit theaters to much fanfare (in fact it garnered mostly negative reviews), but we still continue to sing the praises of Brie Larson’s role as Amy. As the student of a down on his luck literature professor, Amy represents the one good thing in the life of a man who seems doomed to lose it all. The Gambler is a sometime overbearing downer of a movie, but at the end of the day Larson’s strong rapport with Mark Wahlberg anchors the film and allows it to end on an oddly heartwarming note. Another one of Brie Larson’s earlier roles, you may or may not have noticed her brief but meaningful role as Ben Stiller’s college-aged niece Sara in Noah Baumbach’s (criminally underrated) 2010 indie darling Greenberg. While Stiller’s titular character represented a sort of neurotic mess of a human being, Larson's character existed as more of a free spirit who offered him some degree of escape from the potential trappings of his world. By the end of the movie he chooses those trappings over a globetrotting adventure with his badass niece, but thanks to Brie Larson’s awesome performance, we’ve always sort of wondered what would have happened if Roger Greenberg had chosen differently. Brie Larson may have become a fixture of the movie industry in recent years, but her resume extends as far back as 2004. Although she may be a bit difficult to recognize – puberty has that effect – she actually appeared in the 2004 Jennifer Garner comedy 13 Going on 30. Her role in the film is small, but she portrays one of the Six Chicks who bullies protagonist Jenna toward the beginning of the film – literally, her role is credited as "Six Chick" on IMDB. 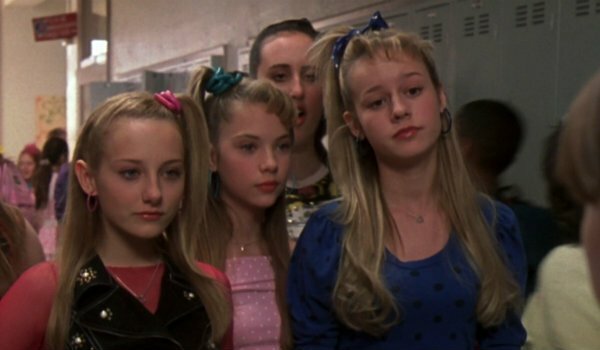 We’ve all got to start somewhere, and we have to say Brie Larson has most certainly come a long way in the twelve years since 13 Going on 30 hit theaters. 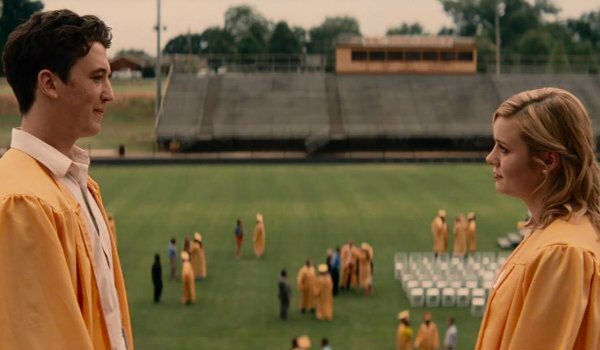 James Ponsoldt’s 2013 drama The Spectacular Now easily represents one of the most emotionally wrenching films to grace this list, which is no easy feat. Like so many of the other roles listed here, Brie Larson portrays a foil. Her character, Cassidy, represents a contrasting figure to Shailene Woodley’s Aimee. As Cassidy, Larson does an amazing job of portraying a girl doing her best to overcome the negative influence of a longtime boyfriend without coming across as a wholly antagonistic figure. In a story centered upon the romantic ideals of teen love, that’s an incredibly difficult type of performance to pull off.